NaNoWriMo – National Novel Writing Month – is just around the corner, and I’m all ready to go. In fact, I’m considering trying to just blast out my novel in the next twenty days, but the wait will make November all the sweeter. My novel this year will be a sequel to last year’s novel, The Keeper, having a place-holding name of Varkens of Ailenor. But that is certainly subject to change. Then again, I always planned on finding a more clever title for The Keeper and ended up sticking with the first thing I ever thought of! 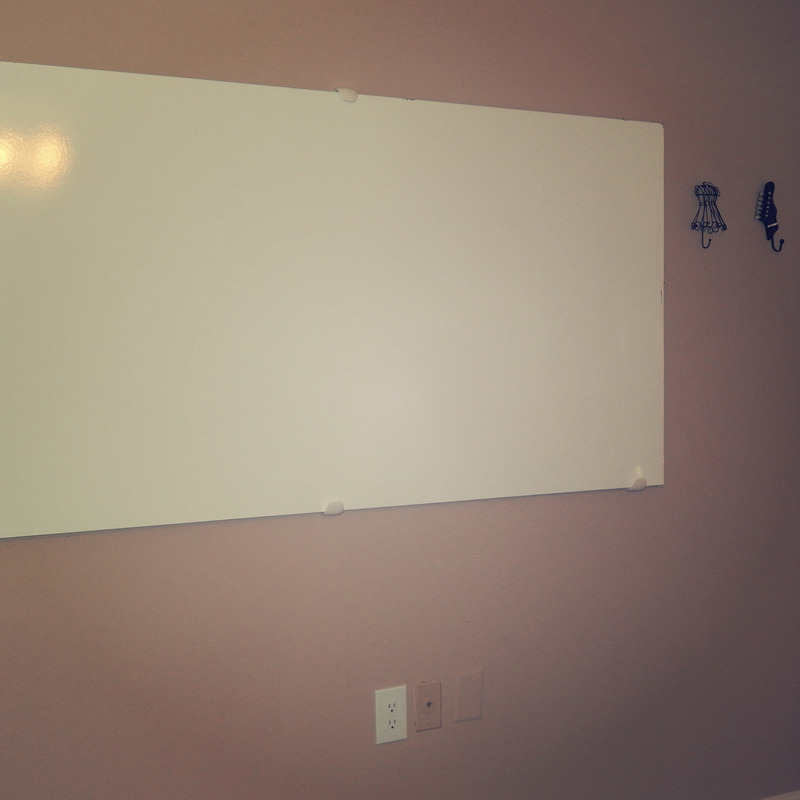 Thankfully, my husband and I agreed that one of the must-haves for our new apartment was whiteboards! We have a giant one in the kitchen and one in the office, which makes my writing space even more glorious. 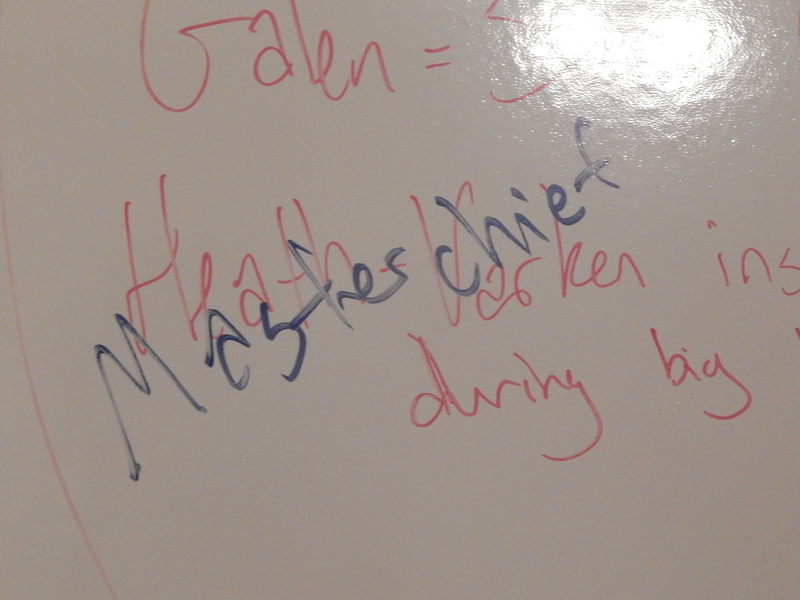 In fact, the idea that Heath-Varken was going to be inspired by Master Chief (Halo) was one of the first things I decided definitively. The white board has been so awesome so far, not only with the initial plotting, but also to list questions I need to answer about the characters, or to resolve plot-holes or to figure out how to expand upon an event. I’m sure it will be equally helpful once I start writing and find myself having writer’s block about how to fill up a transition chapter or to evaluate the pacing. 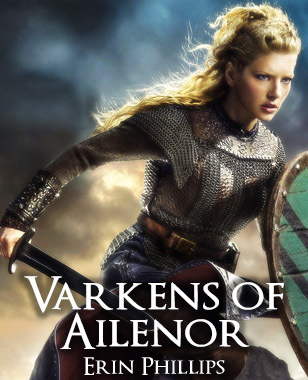 I’m excited to see this novel explore another side of Eviryia, one that isn’t focused solely on the Keeper, but instead allows us to see the lives of Varkens, and those who wished to one day be Varkens. You can be on the look out for familiar characters – such as Galen, Grimwald and Heath-Varken – all with a fresh perspective after the events of that final battle. More details to be spilled over as NaNoWriMo progresses and The Keeper gets closer to being published!